The 5-passenger Subaru Outback continues to make a name for itself by combining the on-road civility and utility of a modern crossover with the all-terrain capability of a traditional SUV. In addition to its standard all-wheel drive, Subaru endowed the Outback with a variety of powertrain, cosmetic and content enhancements for the 2013 model year. Subaru, a fun car for the road! My Subaru Outback is the first SUV I have ever owned. I love my 4-wheel drive, just in case I ever need it! The vehicle sits comfortably high and provides a really smooth ride. The Subaru also has one of the very highest consumer ratings, and is happy to report over 90% of their Subaru's are still on the road after 10 years! The hatch is so spacious and so easy to load and unload all my groceries. The spaciousness and the smoothness of the ride made traveling on the road wonderful. I love the fact that there is such great visibility in this vehicle. I feel like I can see everything. One caveat, my vehicle did not come with a back-up camera. I have yet to get one, but I would not advise buying this type of vehicle without a backup camera. There are blind spots that will make you exceedingly nervous, especially in busy parking lots, where little children can break from their parents grasp and be behind you in your path. It is also important to make certain you have the mats in the front, back, and hatch. Having a big mat in the hatch will really protect the car. As I said, handling is mostly smooth, but the steering mechanism produces a wide turning radius. This can sometimes make maneuvering trickier in tighter spaces. This is just something you adapt to. One cause for concern is the recalls. I know many vehicles have recalls these days, but I expected better from Subaru. There have been two. The first had to do with the steering mechanism, and the 2nd one has to do with the airbags. It is frightening to think of shrapnel flying into you from an improperly installed air bag. Although Subaru handles all the cost of the check and repair, it costs time, which is money. Two recalls leaves me wondering if there are more on the way. 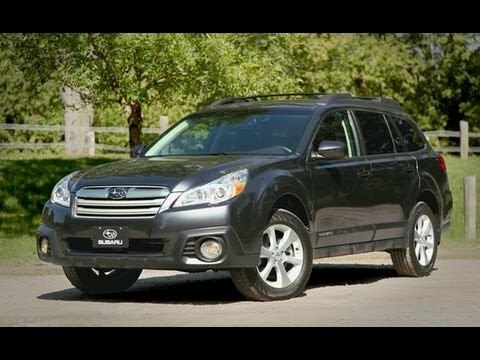 My Subaru is a 2013, so it is concerning that I didn't get the notice about the airbags until a few months ago, in 2018. My dealership experiences are always positive. They cater to the comfort of their customers and always wash my car! Good resale value. I often get offers for trading & a great deal on a new car. The 2013 Subaru outback is very comfortable. It has good legroom in the back seat. People comment that it is roomier than they think. I like the power driver seat. The car is running well after 5 1/2 years. The backup camera is a great feature that I cannot live without. I wish it had a built-in navigation system and better music interface. The Bluetooth for playing music via iphone is occasionally spotty and breaks up. Some people say they cannot hear me on the phone when I am using Bluetooth. It is a great all-terrain vehicle. Rear cargo area is very roomy and I love the fact that it has a sturdy, plastic liner that can be easily removed and hosed off. It had a recall a few years ago for oil issues. In the past year or so, I have found that my oil level light goes on after just 1500 miles (this car uses synthetic, so it should last much longer). We took it to the dealership for a free test (b/c of the recall issue) and they said that it had no problem. I am going to bring it back again since this keeps happening. Overall, I would highly recommend a Subaru and would buy another one in the future. Car seems to be sluggish, especially when AC is on. Slow to accelerate when AC on max, slow to warm up, often gets jerky when turning. Gas mileage not as great as expected; averaging 20 mpg in the city, 25 highway. Already had to replace a headlight and have only had the car for 2 months. Love the features, color, space. Durable and trustworthy car for road trips! Love/hate so far, but mostly love despite the few bumps it's given. Bluetooth options, USB port, AUX cord option, lots of cup holders (!!! ), large trunk, self-dimming rearview mirror, able to program garage-door to mirror (although I haven't been able to get it to work yet).